In 1984 the pedagogical faculty was created, in 1989 on its basis the training of specialists in “Psycology”, “Psycology and language and literature (English)” was begun and later the faculty was renamed into psychological-pedagogical. From 1997 till 2005 it was named as the faculty of psychology and sociology, since 2005 it is named as psycological faculty and since 2018 - faculty of psychology and special education. 52 lecturers among which 4 are professors (DPhil), 1 associate member of the Pedagogical Academy of Ukraine, 26 associate professors (candidates of science) implement the education of more than 500 students in “Psycology” and “Special Education”. The training of scientific and scientifical-pegagogical workers in post-graduate courses in 3 specialties is fulfilled. These specialties are: 19.00.01 – “General psychology, history of psychology”, 19.00.07 – “Pedagogical and age-related psychology”, 13.00.01 – “Theory and history of pedagogy”. A professional scientific bulletin “Pedagogy and Psychology” is published. Dean – Volkov Dmytro Serhiyovych, candidate of physico-mathematical sciences, professor, Honored Worker of Education of Ukraine. Deputy dean on educational work – Pryhodko Tetyana Pavlivna, assistant professor. Deputy dean on scientific work – Ternovska Darya Yuryivna, candidate of sociological sciences, associate professor. Deputy dean on educative work – Bondarenko Zoya Petrivna, candidate of pedagogical sciences, associate professor, “The Excellent Student of Education of Ukraine”. Deputy dean on international cooperation – Bandarevska Irina Olehivna, candidate of psychological sciences, associate professor. Scientific labarotory of educational process informational implementation, computer studies of which are connected to the Internet; Social-psychological Service of the University; Scientifical-methodological Centre of distance education of Pedagogical Academy of Ukraine; social initiative and volunteer centre. General and pedagogical psychology department, Social psychology and psychology of management department, Medical psychology, psychodiagnostics and psychotherapy department train bachelors, specialists and masters in “Psychology”. Pedagogy and special education department trains bachelors and specialists in “Special education”, a good deal of this training is achieved with help of Medical psychology, psychodiagnostics and psychotherapy department. Faculty graduates work as psychologists and lecturers both at educational establishments (schools, colleges, gymnasiums, higher educational establishments) and psychological services under organizations and enterprises (advertising agencies, banks, staff management services, clinics, centres for youth). 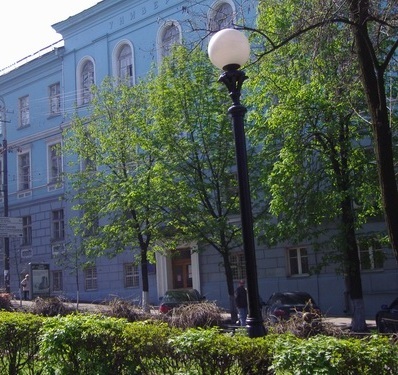 The lecturers of General and pedagogical psychology department have recently published monographs devoted to the following problems: “Transformation of value orientations of the youth at the modern period of the Ukrainian society development”, “Leading personal features of talented youth”, “Cognitive structures personal formation regularities by the use of computer technologies”, “Theoretical-psychological basis of emotional stability computer diagnosing”, “Psychological features of culture and ways of their changes at the modern country development period”, “Aspects of implicit diagnosing of emotional stability”, with a signature stamp of the Ministry of Science and Education of Ukraine an electronic textbook with a multimedia course “Age-related psychology” was published, as well as textbooks in: “Experimental psychology”, learners’ guide for distance education in “Methodological aspects for the implementation of distance course teaching material memorizing” etc. The scientists of Medical psychology, psychodiagnostics and psychotherapy department have recently published monographs and textbooks devoted to the following issues: “Psychophysiology” (a textbook with a signature stamp of the Ministry of Science and Education of Ukraine), “Medical-social and psychological rehabilitation of the disabled and the ill”, “Emotional stability of a person and its diagnosing”, “Aspects of emotional stability implicit diagnosing”, “Psychology of problem children”, “Pathopsychological diagnosing in clinic”, “Main initial exposures of children’s psychoemotional malfunctions”, “Juridical psychology”, “Psychology of health”, “Terminological dictionary on medical psychology” and others. Scientists of Social psychology and management psychology department have recently published monographs “Psychology of anticipation”, “Psychology of vital personal anticipation”. Students of the faculty many times have become the winners of Ukrainian contest in the discipline “The English language” and students’ competitions of scientific works in psychology. In 2009 a student of the faculty became the winner of Ukrainian contest in psychology (2nd place). The best students get named scholarships. Students performed at international scientifical-practical conferences “Social work in the sphere of HIV/ AIDS” (Kyiv, 2005) and “Face of social country” (Kyiv, 2006) which were defined as the best and practical-oriented. Only in 2006-2007 students in co-authorship with lecturers prepared 14 scientific publications. The faculty publishes collected scientific papers “Herald of Dnipropetrovsk University. Series: Pedagogy and psychology”. In 2001-2006 the faculty cooperated with El-Camino college (USA). International students’ video seminars on crosscultural issues were held. Students from the USA, Italy, Lebanon took part in those seminars. At the present time the programme of distance education of DNU students under the agreement on cooperation with Koblenz-Landau University (Germany) is being held. Two Fullbright scholarship holders are working at General and pedagogical psychology department: professor Nosenko E.L. (USA, Indiana University, 1981), associate professor Baisara L.I. (USA, Utah, Salt Lake City University, 2001). They implement the results of their investigations in the educational process, in their work with students and postgraduates, take active part in Fullbright Society of Ukraine work. L.I. Baisara is a regional representative of the Society. E.L. Nosenko has led the faceplates on the following issues three times: “Ethical basis in education and science” (Lviv, 2006), “Ukrainian breakthrough in XXI” (Kyiv, 2007), “Ukraine and the world – longing for changes” (2009). The increased interest of students in Fullbright programme and participation in it became the result of Fullbright scholarship holders. The department regularly invites specialists from the USA: professor Renuka Sethi (2001 – 2002); professor Hortense Simmons (2002 – 2003); professor Gray Linda (2007 – 2008). More than 60 graduates of the department have studied abroad. Golovina Anastasiya after she had received the specialist’s degree continued her education (MA course) in Cambridge (Pedagogy and teaching methods), used to work as a teacher of the English language in London business college and now she is learning psychological consulting (PhD). Zhukovska Veronika studied for one year in Alabama university where she is going to receive a master’s degree. DNU graduate Andreyeva Nataliya received a master’s degree in the USA. The following students studied to get a master’s degree in the USA: Sobolevska G., Bahtiyarova G., Bondar Zh., Pirozhenko V. etc. Medical psychology, psychodiagnostics and psychotherapy, general and pedagogical psychology departments implement joint scientific investigations and projects with Koblenz-Landau University especially “Partnership in treatment psychology”. The scientists of the faculty present their scientific investigations at numerous international and European congresses. For example, professors Arshava I.F. and Nosenko E.L. have recently performed in Germany, Italy, Poland, they are members of European professional community on issues of psychology of health, International association of positive psychology. Volunteer students care about the children who have lost parental surveillance. They organize street games with the “streets children” with help of local organizations. Students take active part in different activities held by local and regional centres of social services for families, children and youth in order to popularize healthy life-style and to prevent negative phenomena among students and pupils of the town. Volunteer students provide social-psychological and social-pedagogical services for children’s home # 1 of Dnipropetrovsk (13 Topolyna street), orphanages “Nadiya”, “Rostok”, “Barvinok”, Centre of social rehabilitation for the under-aged. It includes consulting of the children who are left without parental care, social-pedagogical trainings for children, a hobby group “Rytmika” etc. For the inmates of children’s home, orphanages and Centre of rehabilitation the actions of charity “From heart to heart”, “The Planet of good”, “Our Birthday”, “Day of childhood protection” and different educative measures (during the year) are held. Sports and creative achievements of students are well-known far beyond the university: 4th course student Trygub T. is the winner of national and worldwide tournaments in calisthenics; a former student of the faculty Nosenko D. is a participant of many Ukrainian and intertantional competitions in athletics and now she studies in the USA as a sports scholarship holder, K.Tkachenko is a winner of ball-room dancing tournaments, M.Lysa is a vice-miss of “Ukraine-Universe”. In 2008 a student of DS-07-2 Yefimenko Yulia (Specialty “Psychology”) has won the title “Miss University”.